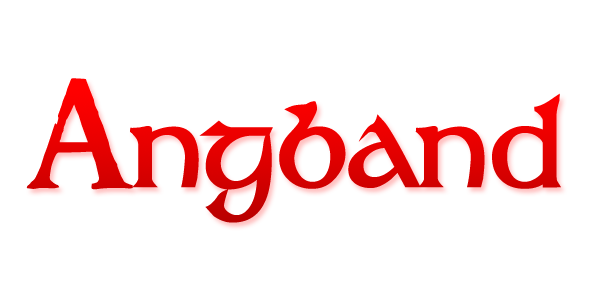 Angband is a roleplaying game based on the world of J. R. R. Tolkien. 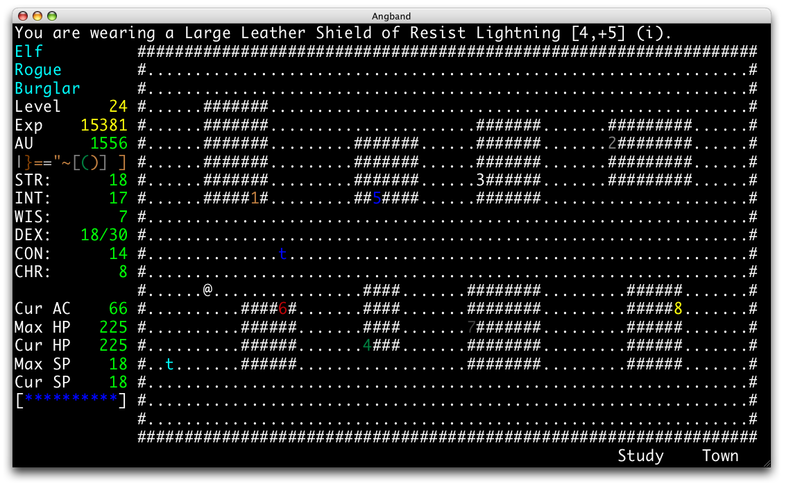 It is "roguelike," which means your character battles through increasingly dangerous, randomly generated dungeon levels, gaining treasure and power in preparation for the final battle with Morgoth. 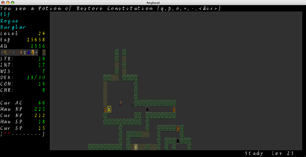 ridiculous_fish maintains a Mac OS X port of Angband. This port uses a native Cocoa front end, which supports multiple terminals, arbitrary smooth resizing, fonts, 8, 16, and 32 bit graphics, and sound. 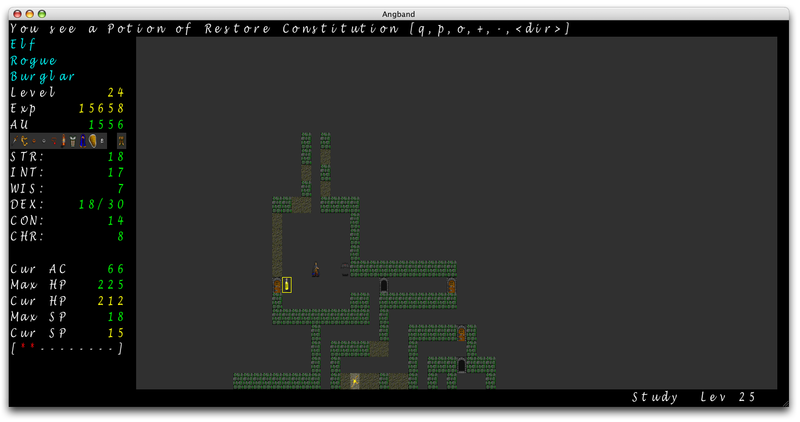 This front-end has been merged into the official GitHub repository and should be available in the next Angband release. On this page you can download a 3.3.0 based build with the Cocoa front-end, as well as some older builds. fish also maintains an OS X screen saver that plays the Angband borg. Double click it to install. Note that by default the screen saver will try to run at 60 fps, which along with the borg's AI will not be very "restful" for your computer. Reducing the frame rate in the screen saver options (to, say, 10 fps) will reduce the CPU usage. 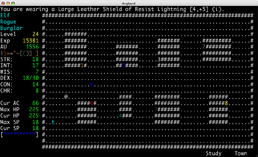 If you are utterly new to Angband, and have no idea what any of this means, get started at the main page, especially its "Newbie Guide."